I often find myself precariously positioned to try and capture an image. To capture this composition I found my self straddling two rocks with one foot half in the water while trying to look through my viewfinder to make sure the image was framed as I wanted. 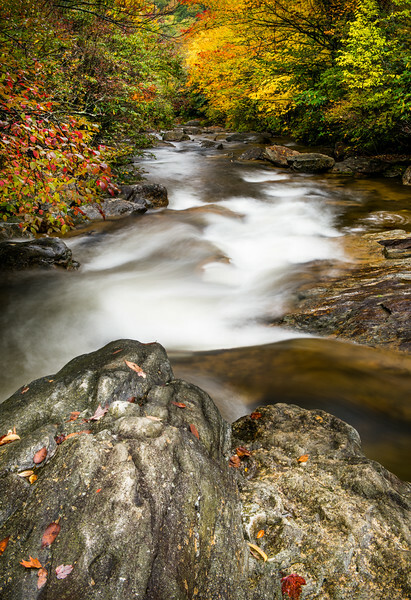 I haven't been able to make it back up to graveyard fields in the past week as the parkway has been closed due to heavy rains. Unfortunately I'm afraid this will be as good as it gets for fall images from this year.